Why Do We Yawn And Why Is It Contagious? Everybody does it. Sometimes it’s early in the morning, sometimes it’s the middle of the day and your at work or school and sometimes it’s at night. 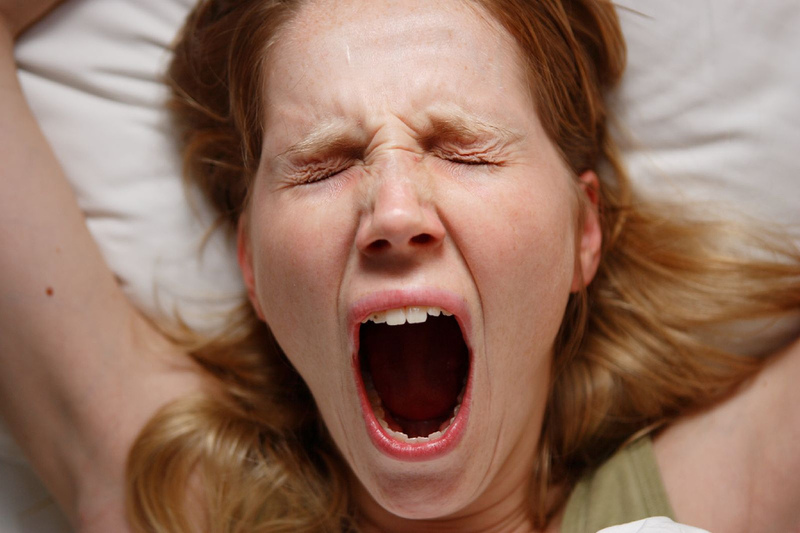 So what actually causes us to yawn? Yawning is an involuntary action and once you start it’s pretty hard to stop yourself. A yawn is a coordinated movement of the thoracic muscles in the chest, diaphragm, larynx in the throat and palate in the mouth. It coats the lungs with a wetting agent (surfactant) to coat the alveoli (tiny air sacs) in the lungs. We generally cannot yawn on command and it is triggered by neurotransmitters in the hypothalamus of the brain. Surprisingly even with all the time, science and technology we have today there isn’t a definitive answer! Yes believe it or not, we STILL don’t know exactly why we yawn! There are several leading theories but there aren’t any proven facts that highlight one above others. Let’s go through a few of the main theories. There are theories on this benefiting the respiratory and circulatory system. Could we need more oxygen in our lungs or do we need to expel more carbon dioxide that has been building up? Modern day evidence makes it seem unlikely that yawning is a function of the respiratory system though. The circulatory system however could be affected by yawning to increase blood pressure, heart rate and oxygen in the blood thus improving alertness and motor functions. Recent studies have suggested that yawning could be related to brain temperature (Gallup and Gallup, 2008). Basically when the brain goes beyond the normal temperature, yawning could cool the brain. This may involve the body’s cooler blood flowing into the brain and warm blood circulating out through the jugular vein. An odd contradictory in my opinion is that you are more likely to yawn in colder temperatures such as winter than in the warmer summer which I’d expect the opposite considering the environments temperature should affect a body as well. The idea here is that stretching and yawning may be a way to flex the muscles, joints, increase your heart rate and feel more awake. Along with this is the theory that yawning is a protective reflex that redistributes surfactant (oily substance) that helps lubricate the lungs and keep them from collapsing. This is supposed to suggest that if we didn’t yawn, taking deep breaths would become increasingly more difficult as time goes on. This would be associated with the change from wakefulness to sleep or boredom to alertness for example. This could potentially have a correlation with physical states as well, such as going from exercising or doing some activity like walking to sitting in a chair and not moving much for an extended period of time. So How Come Yawning Is Contagious? This is an extremely interesting concept and one that tends to be true. If you are in a classroom or in a group of people somewhere and you visibly yawn, more than likely other people will yawn within 5 minutes of you. Even thinking about yawning can start to trigger this contagion. One idea is that it is a physical signal that our bodies are saying it’s time to sleep or get up kind of like an internal 24 hour clock. If one person is yawning and then other people start yawning because of it, then they all may go to sleep around the same time and thus have a synchronized cycle. The truth regarding yawning is that it is still a mystery. Even after all the time passed and resources available to us, we still don’t know everything about the eluded “yawn”. Most the theories seem logical and possible so it’s very interesting that a large scale official study has not been conducted to get the 100% correct scientific truth. For now I’ll just say we yawn because our bodies are telling us we need more sleep to function properly, but that’s just me!